In the heart of the Cape winelands, nestled in the beautiful Franschoek valley, lies La Motte, home to some of South Africa’s finest wines. La Motte wines have won many international awards and are recognised for their exceptional quality. Do you enjoy the finer things in life? Then why don’t you enjoy an introduction to La Motte’s internationally acclaimed portfolio by sampling a variety of their award-winning wines in their wine tasting room. La Motte’s tasting facility, featuring a large fireplace for cozy winter tastings, has been highly commended for its inviting and friendly ambiance. Comfort and elegance are the order of the day and wine tasting visitors are seated at hand-made tasting tables, at a welcoming tasting counter or on comfortable sofas with an unimpeded view of the working and maturation cellars through large glass panels. The walls are adorned with original works of art by acclaimed South African artist Jacob Hendrik Pierneef, after whom La Motte’s Pierneef Collection of premium wines is named. Well-informed wine ambassadors are on hand to advise visitors about La Motte’s theme tastings that are available. Current vintage tasting: Enjoy a tutored tasting of the current vintages of La Motte’s various wine collections while relaxing in the elegant ambience of the La Motte Tasting Room. Vinoteque tasting: Explore the history and evolution of La Motte wines with this innovative and informative tasting of the Cellarmaster’s choice of older vintages or special Syrah styles. 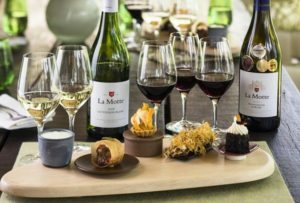 Wine and food tasting: La Motte’s internationally acclaimed tutored Food & Wine Tasting pairs five La Motte wines with five tastings of cuisine by the Pierneef à La Motte Kitchen. We recently had the opportunity to chat to Werner Briedenhann, the Facility and Tasting Room Manager for La Motte. He had a lot to share about their tasting room and their Le Verre de Vin wine preservation system. 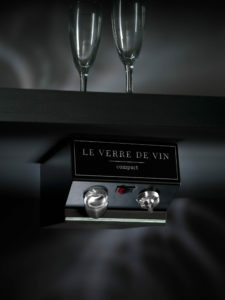 About a year ago La Motte invested in a Le Verre de Vin Compact wine preservation system. They had wanted to showcase their older vintage and small production wines in their tasting room and Le Verre de Vin was a perfect match to what they were looking for in a wine preservation system. As part of their trial process to see if Le Verre de Vin would suit them, their wine maker ran tests to find out if it matched their needs. He was particularly happy with how well the sparkling wine was preserved after three days. Whole bottles can now be used for tasting, therefore eliminating wastage because they can be preserved. Having a Le Verre de Vin wine preservation system in place allows La Motte to offer better quality wine for tasting and they find that this leads to more sales, particularly of limited release wines. 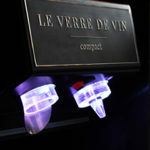 The beauty of their choosing a Le Verre de Vin Compact is that it is designed for existing bar installations – which means that they were able to mount it under the bar counter in their tasting room, right where the bottles are used. Many thanks to Werner for sharing his insights with us. 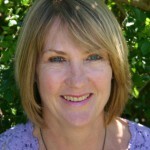 and we will be happy to discuss this with you in more detail.